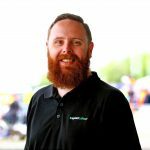 Wayne Taylor Racing has claimed victory in a rain shortened 24 Hours of Daytona that saw Fernando Alonso, Jordan Taylor, Kamui Kobayashi, and Renger van der Zande crowned winners. 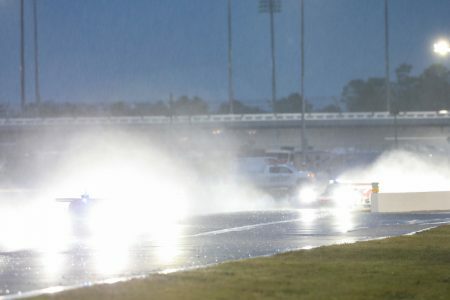 “After extensive rainfall that fell throughout the morning and afternoon in the Daytona Beach area, the 57th running of the Rolex 24 At Daytona has been deemed official after 23 hours and 50 minutes of racing – much of it under some of the most extreme weather conditions ever seen at Daytona International Speedway,” read a statement from IMSA, the event’s organizing body. Classified second were Felipe Nasr, Pipo Derani, and Eric Curran while third went the way of the Penske entry of Helio Castroneves, Ricky Taylor, and Alex Rossi. Second placed Nasr had been leading but a mistake heading into the infield section saw the Brazilian run wide and open the door for Alonso to scamper through. It proved a decisive moment with the red flag shown shortly afterwards. 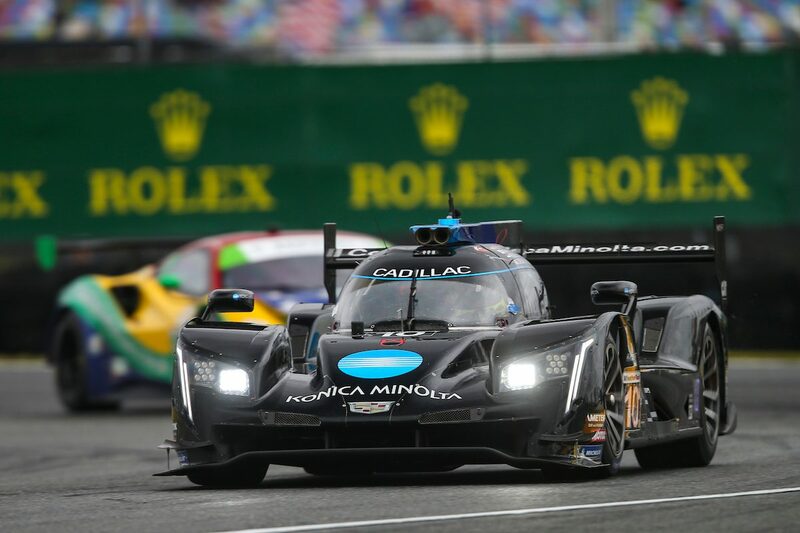 The race had, by then, been whittled down to a battle between the WTR Cadillac DPi, the Action Express Racing entry of Nasr, and the two Penske Acuras. As conditions worsened towards the end of the race the Penske entries found themselves unable to live with the pace of the Cadillacs while Juan-Pablo Montoya, Dane Cameron, and Simon Pagenaud were forced out with mechanical problems from fourth place as the race began to move towards its climax. Heading the LMP2 class to the line was Pastor Maldonado, Roberto Gonzalex, and Ryan Cullen, taking a comprehensive four lap win over the second placed car in class belonging to Kris Wright, Kyle Masson, Cameron Cassels, and Robert Masson. BMW claimed GTLM honours after a tight battle with the leading Ferrari 488 GTE and the Chip Ganassi Racing Ford GT of Ryan Briscoe, Richard Westwood, and Scott Dixon. Earlier, contact between Frederic Makowiecki and Joey Hand at the first corner saw the two leaders effectively end their chances of victory and promoting the Rizi Competizione Ferrari into the lead. The Briscoe/Dixon/Westbrook Ford had been leading prior to a pit stop shortly before the final red flag was shown, dropping the trio to third. They were one spot up from Simona de Silvestro in the GTD Class Acura NSX GT3, finishing 11 laps off the class winning Lamborghini Huracan GT3. Earl Bamber finished fourth in GTLM, Australian LMP2 pole sitter James Allen ended the race 15th overall and third in class, while Nick Cassidy was 22nd and Matt Campbell 24th outright.